Our first-day introductory session – “The Young Statistician’s Guide to the Conference” – has become a real hit with conference newbies over the last two years. Come along to find out more about the YSS, get a sneak preview of the conference programme, and hear tips from senior statisticians on how to get the most out of your time in Sheffield. And if you’re going to be delivering a talk or presenting a poster, come along and plug it to your fellow young statisticians! The YSS will also be organising two special conference sessions to showcase the winners of the two competitions we’ll be running during the first half of 2014. The first competition is the “Significance Writing Competition”, organised in conjunction with Significance Magazine – we’re searching for a budding writer with a dash of journalistic flair who can really bring stats to life for a non-specialist audience. Could this be you…? The second competition is the “Statistical Analytics Competition”, organised in conjunction with the RSS Research Section. This is a team contest in which the goal is to develop the best model for the competition task. Stay tuned for further information! Keep your eyes peeled over the next few weeks for further details on how to enter the two competitions – and who knows, you could end up standing on the winner’s podium in Sheffield! So… get your abstracts in! If you haven’t yet seen our first wave of publicity for RSS 2014, released last week, click on the image at the top of this post to take a look! As shown on the flyer, the deadline for abstract submissions to the conference is 30 March 2014, so get your thinking caps on! This event is designed to broaden the horizons of career-young statisticians through showcasing the wide range of different statistical careers that are available. Statistics covers fields as diverse as medicine, finance, industry, environment, government and academia. There will be a range of talks from these areas with invaluable networking opportunities. The event is intended for anyone about to embark on, or at the beginning of, their statistical career, so whether you have already begun to specialise in a particular area of statistics or are still studying, the day is sure to be of great value. The event is *free of charge* but we do ask participants to register at http://www.eventbrite.co.uk/e/careers-in-statistics-registration-10313603265 . It is jointly organised by University of Manchester School of Mathematics, and the Royal Statistical Society (Young Statisticians Section and Manchester Local Group). 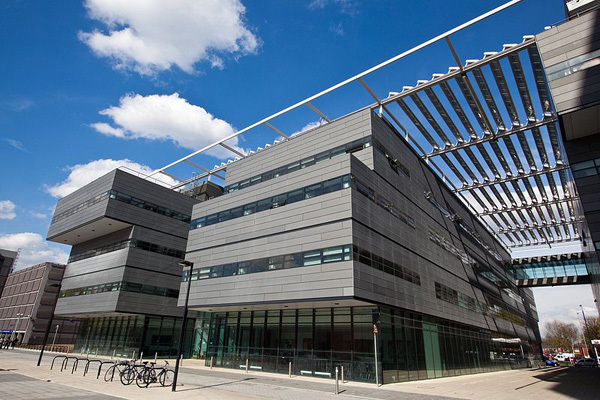 The Alan Turing Building is #46 on the campus map: http://www.manchester.ac.uk/aboutus/travel/maps/ where you can also find travel information. 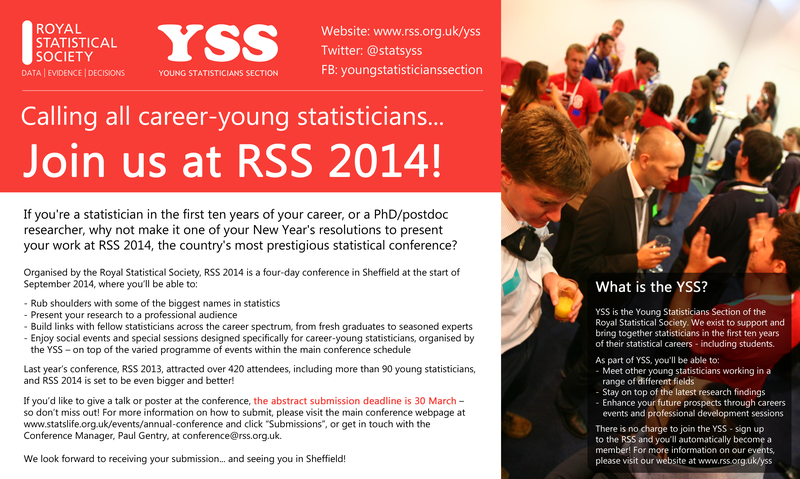 ANNOUNCEMENT – Calling all career-young statisticians… Join us at RSS 2014!